Christmas is a very nice party for sharing with the family as well as with the loved beings. Our big desire is to share beautiful Christmas phrases to dedicate the best wishes to your girlfriend, in that way, she will know the true meaning of Christmas. In this opportunity we are going to offer nice Christmas poems to send your girlfriend, in order to give your best feelings and to declaim at Christmas night, so you would show your love. Below, you will find beautiful Christmas texts to share with the person you love, as it is the case of your girlfriend. – “May life gives us good opportunities to perform as a couple is why this Christmas, I ask God to grant us the privilege of loving each other. Merry Christmas my beautiful girlfriend”. – “For Christmas Eve my wish is to share with you a special dinner and pray for Child God to protect and save us from the evils of life on any path. Merry Christmas”. – “I pray to The Holy Father and I ask for our union to be consolidated over time and soon we can be united as a family. Merry Christmas my dear and beautiful love”. – “Honey, I would like you to know that I fell in love with you since the first time I saw you. My Christmas greetings goes with great affection desiring that prosperity and hope be part of your life. Merry Christmas”. – “My love, in this opportunity I wish to give you all my love and my unconditional support because Christmas makes our beings bond stronger than ever. Merry Christmas”. – “My love, with all my heart, I wish this Christmas Eve to be harmonious and glorious by your side that the child Jesus enlighten us in each step to follow. Merry Christmas”. – “My love I long for you a night of peace, love and prosperity. I hope Christmas feeling brings much union to your family and to all your relatives. Merry Christmas”. – “May the Christmas Eve a good night to share deep thoughts by your side as the glory of love. Kisses and Merry Christmas”. – “Dear love, Christmas is commemorated with love and peace, feelings which Child God has blessed us with. It’s the time to be grateful with our relatives as an act of love. Merry Christmas”. -“Sweetheart, my love for you gets bigger each day. I want you to be my wife as soon as we can. You are always in my mind. Have a Happy Christmas”. – “Darling I thank God for being with you sharing beautiful moments. As Christmas is coming, I think it is a perfect occasion to share a beautiful time waiting for the birth of Jesus”. – “May the Christmas a celebration full of joy and harmony. Our relationship will be blessed, Jesus crossed our paths to walk holding our hands. Love you. Merry Christmas”. – “Wishing you a nice Christmas Eve, hope your soul and heart feel the happiness and prosperity that Jesus give us. Hope you like my little present which I made for you with all my love. Happy Christmas”. We offer you the most beautiful Christmas messages to send your sweetheart on this Christmas Eve to celebrate with much love. 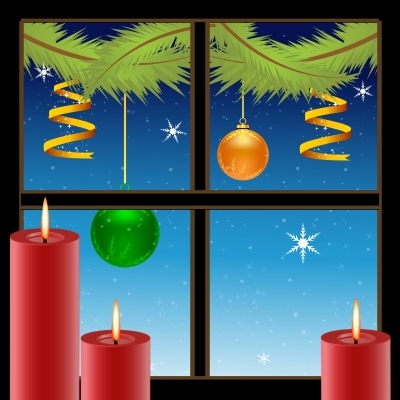 Also, you will find Christmas SMS to share with your relatives and contacts. Text messages, also called SMS, are the easiest and cheapest way to communicate with our contacts. We can send text messages to arrange a meeting, report an emergency and express our best wishes in special days like Christmas. Many of us use text messages to express our love for our girlfriend. You might be wondering: how can I wish my girlfriend a merry Christmas and express my feelings for her? Do not worry anymore. In this article there are some Christmas Eve with love SMS to send to your girlfriend. Send one of them and wish a merry Christmas to the love of your life. We hope you liked these Christmas Eve with love SMS for my girlfriend. Remember: a special day like Christmas is the perfect time to express our feelings. Send your originals Christmas greetings for my girlfriend ,and will be published , others friends will thank you .